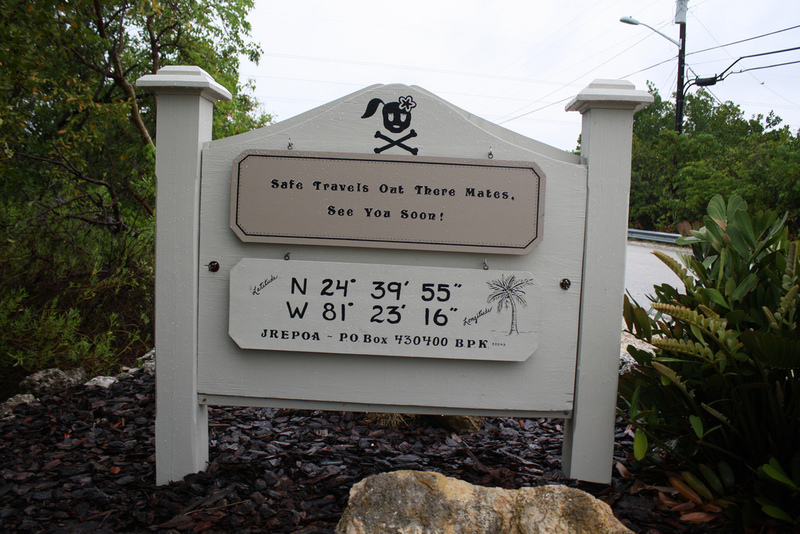 Ahoy mates, in my daily pursuit of something to see or do in the Florida Keys I’m always looking around corners, behind buildings and on the backside of signs. Shiver me timbers it paid off, look at what’s on the back of this cool sign. 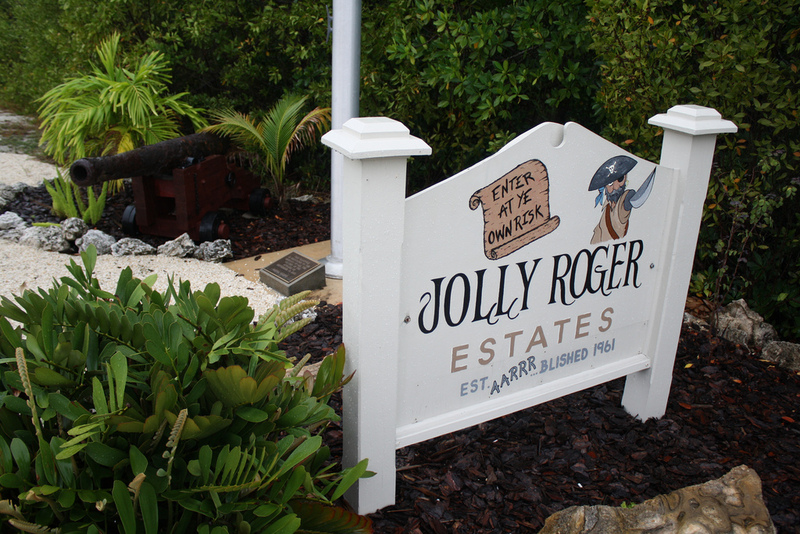 Blimey, the front reads “Enter At Ye Own Risk” as if spoken by a pirate since the sub-division is named Jolly Roger. At the bottom it continues the pirate lingo theme by stating “Est.aarrr…lished in 1961″. On the back side, which largely goes unnoticed holds another booty of plunder consisting of the subdivisions location in Longitude N 24 degrees 39′ 55″ and Latitude W 81 degrees 23′ 16”. It continues to amuse by portraying the typical skull and cross-bones with a whimsical pony-tailed female adorned with a bow… cute I must say. It finishes off with a good-bye from a swashbuckler himself “Safe Travels Out There Mates”.